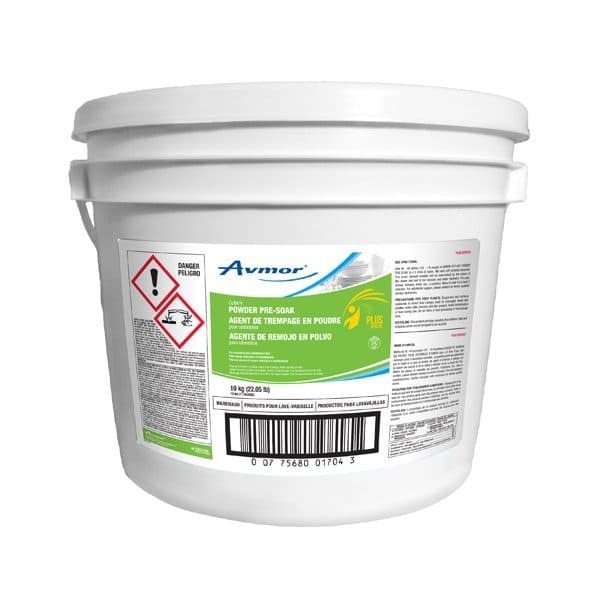 AVMOR CUTLERY POWDER PRE-SOAK is a powdered general purpose pre-soak for removing stains and caked-on foods from cups, utensils, dishes and flatware. This cleaning compound is also ideal for use as a tarnish remover for silver. Add 30 - 60 grams (1/8 - 1/4 scoop) of AVMOR CUTLERY POWDER PRE-SOAK to 4.5 litres of water. Mix well until properly dissolved. The exact amount needed will be determined by the nature of the stains and soil to be removed and water hardness. Put cups, dishes, flatware, silver, etc., in solution. Allow to soak for at least 5 minutes. For additional support, please contact an Avmor qualified service technician.